Whether designing a tablescape, arranging objects on a buffet, displaying collectibles, or staging the various mantels and tabletops in our homes, in essence we are creating our own still life art. Often times called a vignette or a "moment," we are experimenting with form, light and composition, just like an artist would. Maybe we aren't painting the scene we have created, however we are compelled to photograph our vignettes, forever capturing a still life moment. Whenever I arrange or stage objects, I am experimenting with different forms and how the light plays off the various textures. For this still life photo, I had about five minutes of the late evening sun to work with. ...as well as this photo. When creating a tablescape, I'm inspired by the still lifes painted by famous European artists like Gauguin, Monet and Cézanne, as well as the Dutch Masters. 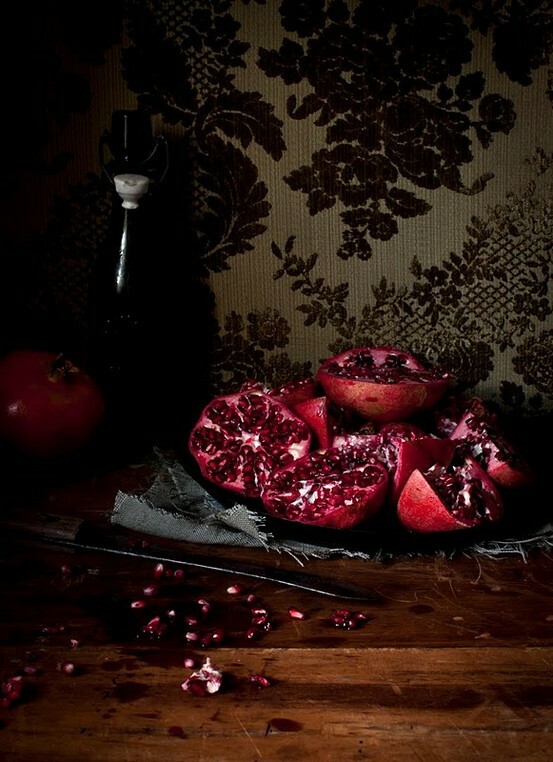 The Dutch call it stilleven, the French call it nature morte, Its stilleben in German and natura morte in Italian. 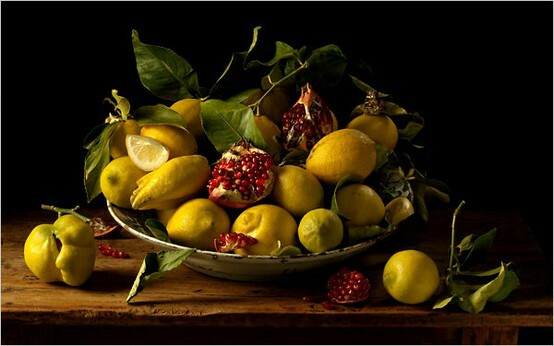 The very definition is "an arrangement of inanimate objects, such as flowers or fruit, in painting or photography." "Wine and Cheese Still Life"
"Still Life in Italian Cafe"
Several years ago, we visited the studio of Paul Cézanne in Aix en Provence. 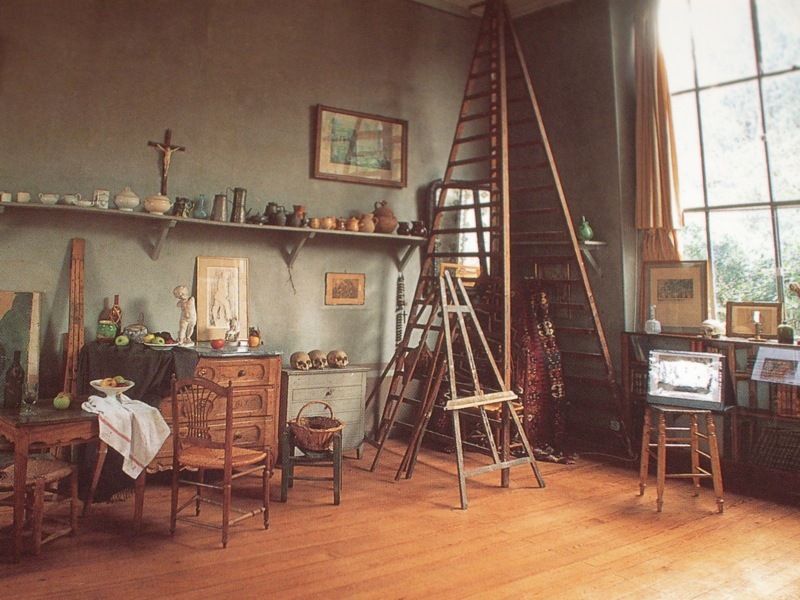 I was fascinated by his collection of inanimate objects at the ready to arrange and paint. 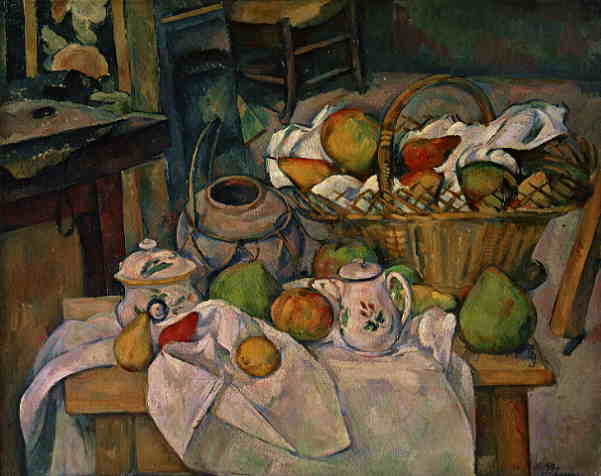 Cézanne's "Still Life With Fruit Basket"
Almost all of the art in our home is a still life, like this painting of roses and apples. I guess I have always been drawn to them! As a blogger and an amateur photographer, the still life form, or vignette is what I am always trying to capture. Maybe I should change my name from "vignette design" to "still life design!" 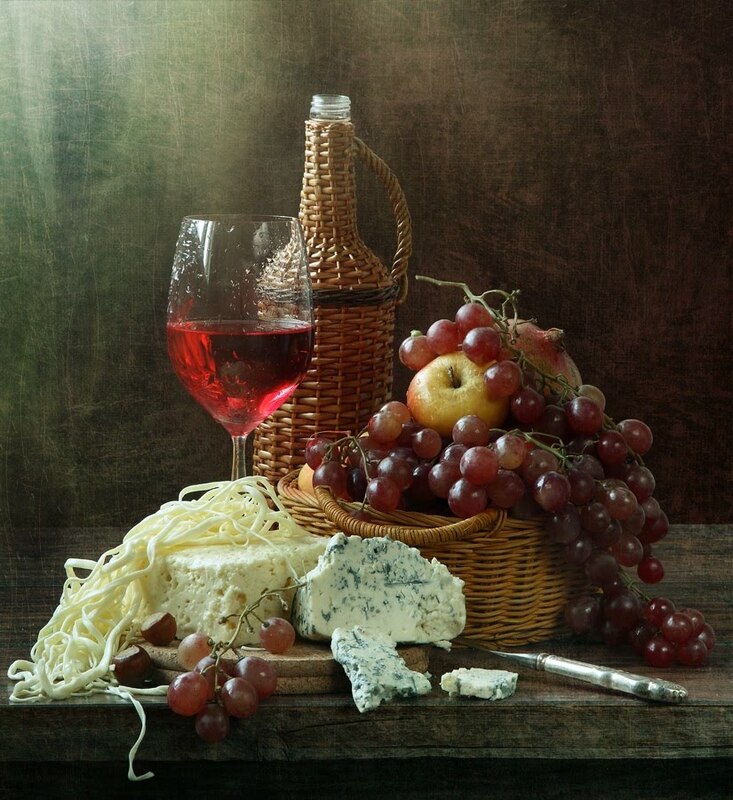 Do you have a photograph of a still life or vignette from your home? 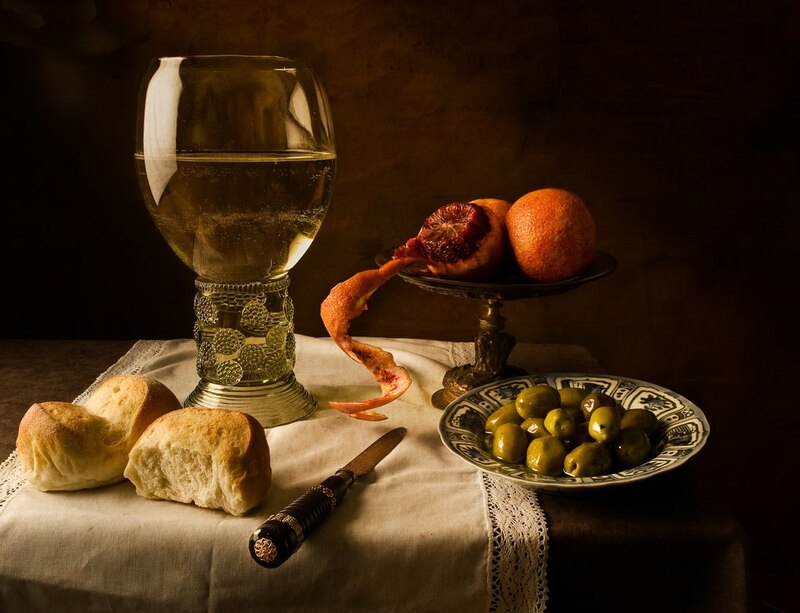 I would love to do a follow up post on this subject, featuring still lifes from other bloggers or followers. Please feel free to send me your favorite photo. I will link back to you when I post it. I'm joining Marty for Tabletop Tuesday at A Stroll Thru Life. Beautiful pictures. And, love how you coin your vignettes as still life. They truly are artistic, aren't they? I love the French artists, as well. You've captured gorgeous moments, playing with the sun. Great post, Delores. Wonderful photos and I want your pottery! What great pieces. Gorgeous post, Delores. 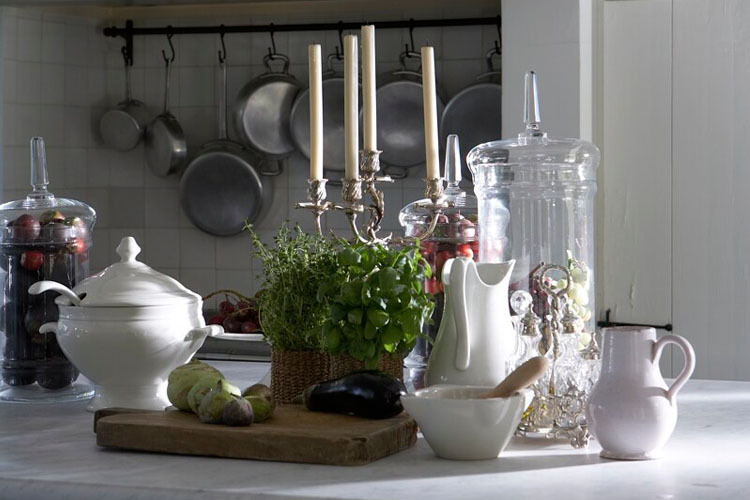 Lovely vignettes and inspiration galore. What a lovely post and such lovely pictures. My favorite are the ones with the light coming in from the window. Very beautiful. Delores, I loved this post! You know how I love photography and your examples of still life shots (the Italy shot is to die for), and others you featured are so beautiful! I was just thinking the other day that I would try my hand at creating a still life shot...hmm, now you've motivated me to do it now rather than later! Gorgeous pictures, I don't know which one to pick, so I want hem all! I love artwork and you have displayed it beautifully as you're one talented designer. Your photography is totally amazing, that is also art! I love your pottery, we love it as we owned a Ceramis Factory for 30 yrs. Very inspiring your vignettes. I love this! I'm also at MM at, BNOTP. The first still life may be my favorite because of the light. 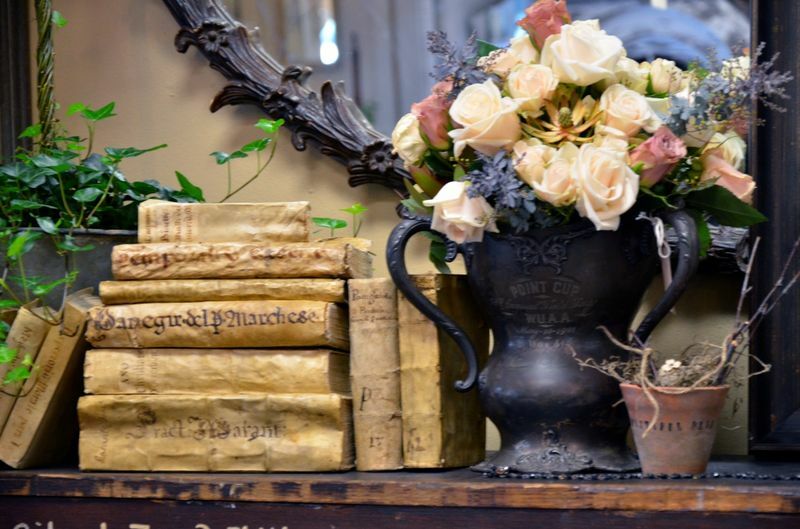 For composition, the urn and old books is sensational. Fabulous post, so much beauty for a monday morning. Thank you. as a longtime reader of your blog, i am never disappointed. this post was indeed food for my soul. just beautiful! thank you. Delores, this is a wonderful post. Yes, vignettes offer up much inspiration for me. You are a master at arranging interesting vignettes and capturing them in the natural light at various times. what a beautiful way to start a Monday! One of my favorite art forms and as you show us , nicely incorporated into every day life. These are some top quality gorgeous photos!!! Arranging a still life is much harder than it looks. Your artistic eye is wonderful!!! Love it! My MIL has some amazing still life original art--I'm looking for some European ones right now! 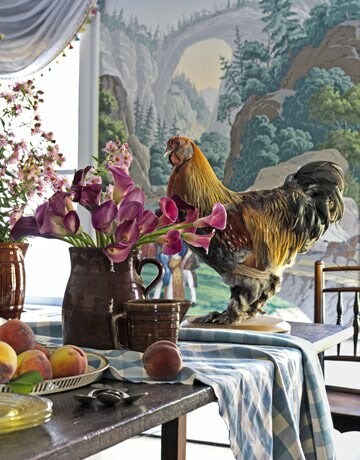 This inspires me to take a closer look at the still life's in my home and check for better composition. Of course, that will have to be after the next 9days of school are over! Thanks for sharing. Love your vignettes Delores- you have the eye! A beautiful post, Delores. Gorgeous photos and I would say your photos look like professional photography. You are very talented! Your early morning light ones are stunning. The photography is fantastic of each vingette. Love all the pottery! Very pretty! These images are gorgeous...love all of your beautiful pottery! 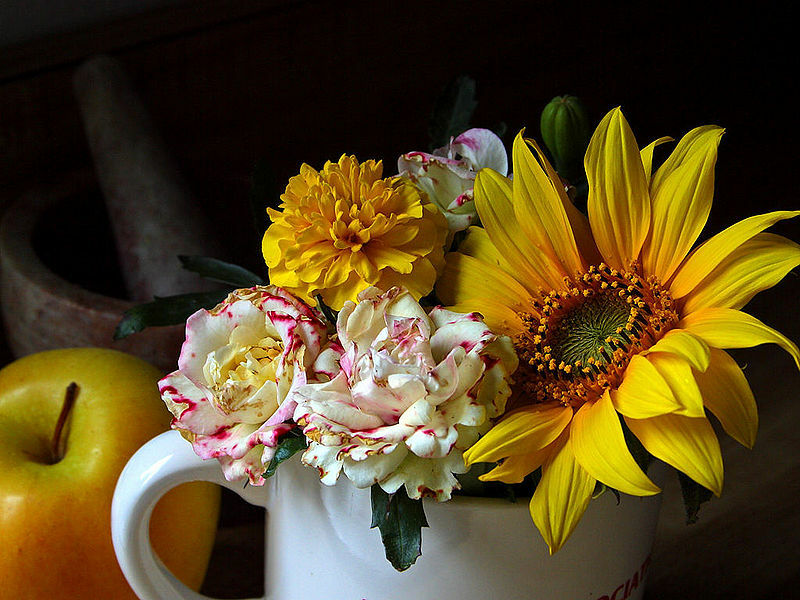 Wonderful Delores...still life is one of my favorites too and your photos are amazing! Love the one in the cafe with the wine bottles! so many great images, sadly most make me hungry! Delores, what an enjoyable post. Loved every wonderful image and felt in awe seeing shadow's and light working in beautiful ways..